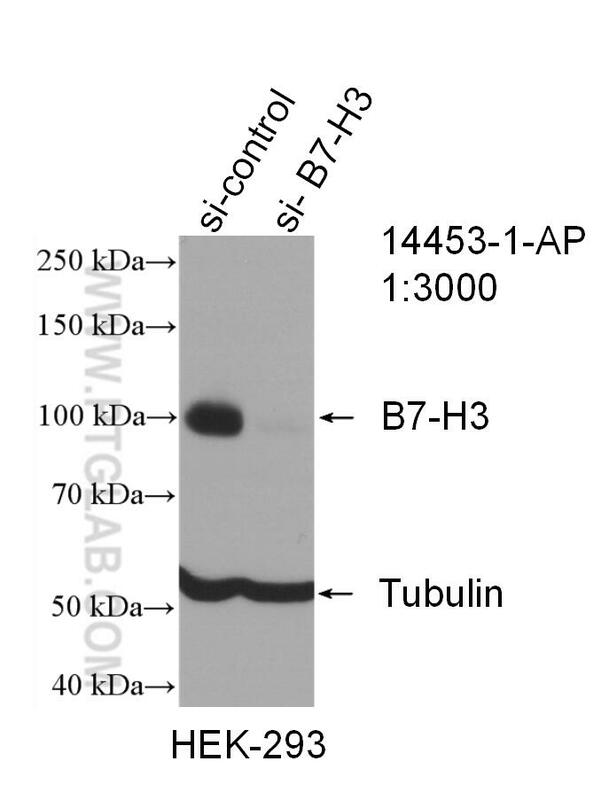 Various lysates were subjected to SDS PAGE followed by western blot with 14453-1-AP (B7-H3 antibody) at dilution of 1:1000 incubated at room temperature for 1.5 hours. 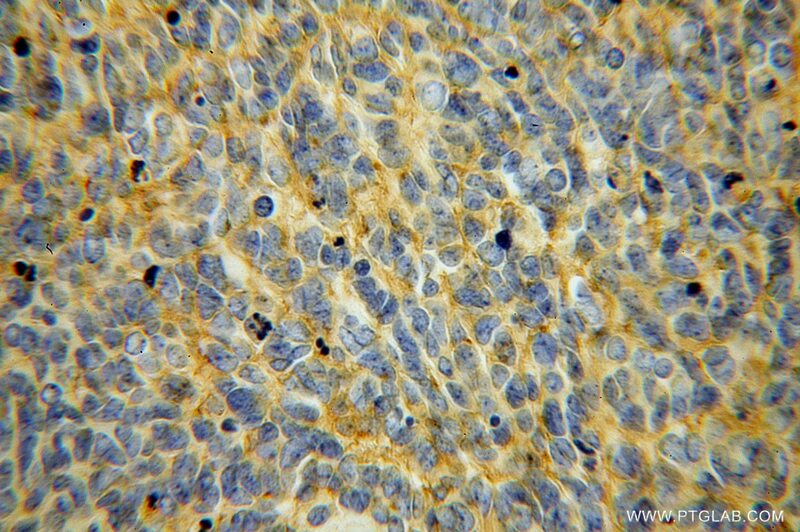 Jurkat and Raji cells were used as negative controls. 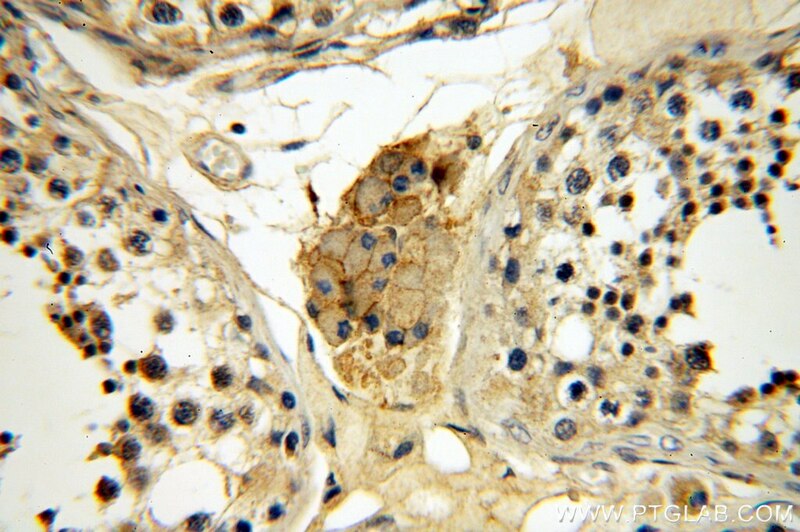 B7-H3 (CD276) is a type I transmembrane protein expressed on many tissues and cell types. B7-H3 is a 100-kDa glycoprotein that belongs to the B7 immunoregulatory family and participates in the regulation of T-cell-mediated immune response probably by functioning as both a T cell costimulator and coinhibitor (PMID: 25567370; 20696859). 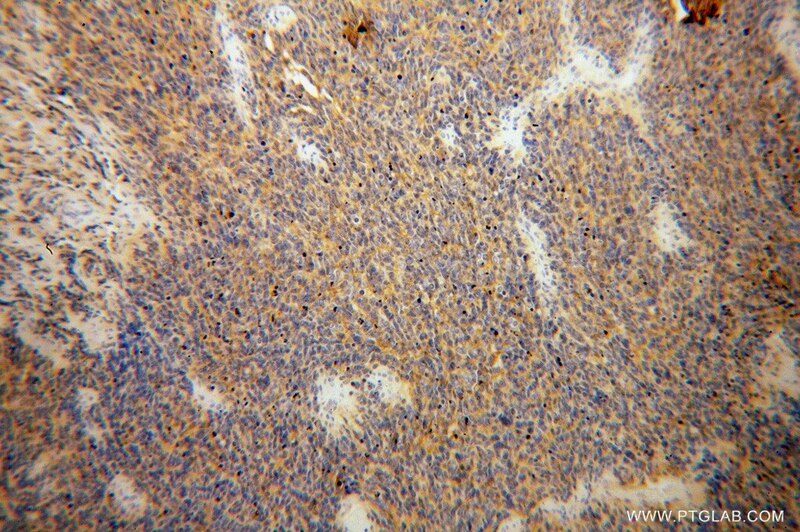 Overexpressed on a wide range of human solid cancers, B7-H3 has been implicated in cancer progression and metastasis and becomes an attractive target for cancer immunotherapy (PMID: 27208063). 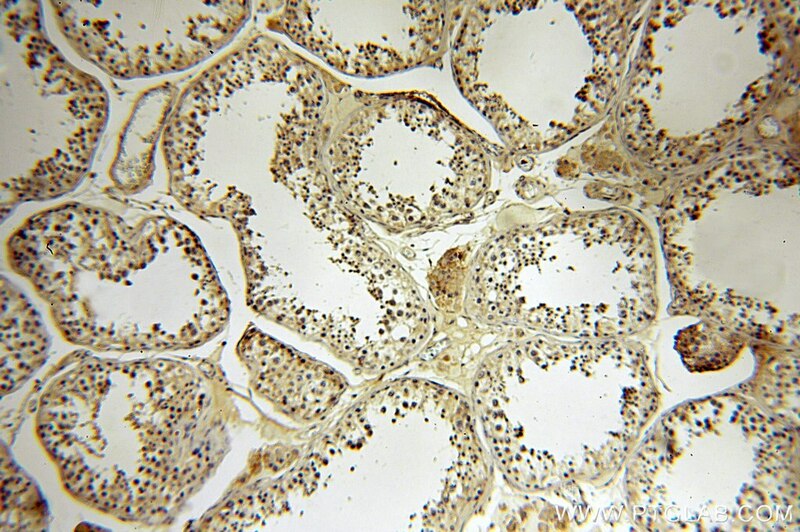 Different expression of B7-H3 in the caput, corpus, and cauda of the epididymis in mouse.